With our busy lives, we often cut corners, skipping steps in our everyday routines that seem unnecessary. 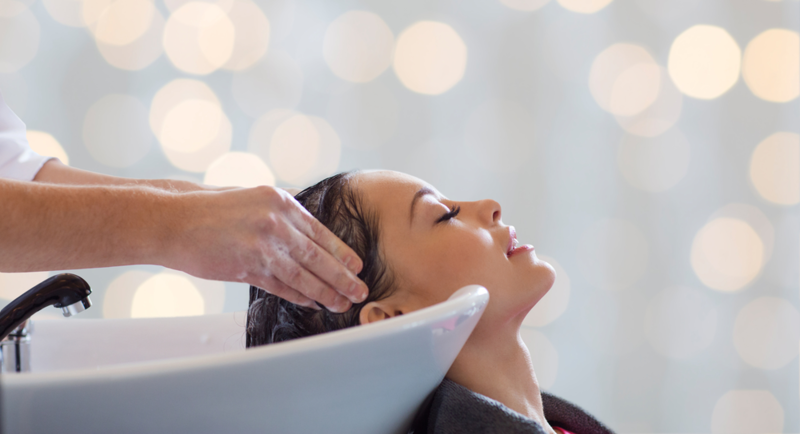 With time at a premium, even shower time is reduced, and the time it takes to condition your hair may seem like a step to cut out. However, conditioning your hair is incredibly important for its health and vitality, and even helps you style it easier. To understand why, you need to understand the structure of hair. If you look at a strand of hair under a microscope, you’d notice that it looks like flakes. This is because the top layer, called the cuticle, is made up of cells that overlap like tiles to protect the inner core of the strand, the cortex. When cuticle cells aren’t overlapping properly, the inner layer is exposed to the elements and can become damaged. In addition, when the cuticle isn’t laying down smoothly against the hair shaft, it can get caught on other hair strands, causing frizz and tangles. Every day, we expose our hair to heat, wind, and pollutants. Heat is the primary enemy that can damage those cuticle cells and leave your hair vulnerable to more damage. This is where conditioner steps in. The ingredients in conditioner bond to the hair strand, smoothing out those cuticle cells and putting them back in shape to protect your hair. When all hair strands are protected, your hair is smooth, shiny and soft, even after you’ve rinsed out the conditioner. Conditioner should be used every time you shampoo and shouldn’t ever be a skipped step. In fact, conditioning can help you save time once you’re out of the shower, because it helps you comb out tangles and makes styling your hair easier. Some women think that conditioner weighs down your hair, but this only happens if you don’t rinse it out enough. Use just a small amount and concentrate the conditioner on the ends, which need it the most. Take the time for the extra rinsing, and conditioner will never weigh you down. If your hair is dry, thick, or curly, you may need deep conditioning treatments in addition to your daily conditioning in the shower. Ask your stylist to assess your hair’s needs and determine if regular deep conditioning treatments are appropriate for you. Keeping your hair trimmed is also important since split ends from damage can cause further damage and make your hair look frizzy. To get a trim, or to ask about deep conditioning treatments for your hair, make an appointment today at Avanté Salon & Spa. Our professional stylists can assess your hair’s needs and determine whether extra conditioning will help keep your hair softer and silkier. Find us at one of our three locations at 668 Downingtown Pike or 122 S High Street in West Chester or 298 Main Street in Exton, call 610.429.1800 or you can book an appointment online. If you prefer to instantly schedule your own appointment, try our free mobile app, available on the iTunes Store, Google Play, or Amazon.